The keyword for the introduction of Mozilla Firefox 3.5 was speed. That helped start a whole new race in which Firefox led early, but fell soon behind Apple Safari, Google Chrome, and later even Opera. 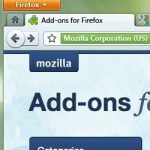 Now with even Microsoft Internet Explorer 9 looking to erase the speed gap, and then some, a newly published Mozilla developers' page characterizes Firefox 4 -- whose first public betas may be only a few weeks away -- as feature-laden. 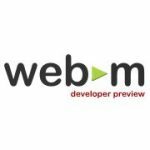 Enhanced security features, built-in WebM video, and new support for standards-based animation -- including live, GPU-rendered 3D -- are all part of the new feature list for Mozilla's next browser. Whether the "Windows era" is genuinely over for PCs is a matter of some debate; but the last week in both US and international markets is making clear that the dominance of PCs as technology platforms is now fully challenged by mobile devices. Today is premiere day for Apple's iPad in Europe and Asia, and though early sales numbers have yet to be tabulated, when China Daily touts the success of the premiere as an event, it looks pretty likely that sales will live up to expectations. This morning, Reuters cited RBC Capital Markets analysts as estimating Apple could ship as many as 8.1 million iPads alone by the end of this year, with nearly half a million of those expected to be shipped to Japan, one of the countries where iPad premiered today. In less than a day, Kohnstamm got his wish: This morning in Brussels, Comm. 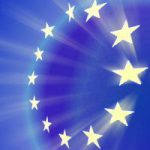 Reding placed a public call on the United States to forge an agreement that would enable the EC to sue the search engine leaders in US courts for failure to follow EU guidelines for data protection. In a move that may end up drastically scaling back what Facebook had hoped last month would be a redefinition of the Web itself, the social service will soon begin rolling out simplified privacy controls, according to a blog post today from CEO Mark Zuckerberg. The new controls may make it easier for Facebook users to limit the extent to which the system shares their personal information with others, especially including other Web sites. Continuing to deflect criticism, the CEO said that Facebook had always offered a multiplicity of privacy controls, but "if you find them too hard to use then you won't feel like you have control. Unless you feel in control, then you won't be comfortable sharing and our service will be less useful for you. We agree we need to improve this. 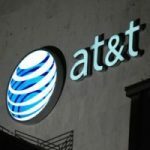 A nationwide service outage continues to impact customers of AT&T's VoIP-based U-Verse Voice service -- users of its fiber-to-the-home TV and broadband network for phone service as well. Now home-based VoIP phone users are waiting in Internet chat queues numbering hundreds of users long seeking solutions, and at least a few customers are reporting they're waiting on hold from their (working) Verizon Wireless phones. Users of AT&T's U-talk Peer-to-Peer Forum are being advised to register their complaints with someone named "David" in the company's Tier 2 Technical Support office. This as users in Memphis, Atlanta, Chicago, Houston, and elsewhere continue to report no service, although customers in some metropolitan areas such as Sacramento report service has been restored. After two high-profile Microsoft exits, is WP7 a device or a platform? When a massive Microsoft corporate reorganization on September 20, 2005 vaulted Robbie Bach into the role of President of the Entertainment & Devices division, the explanation at the time was to enable the company to focus on devices where the goal was to promote devices, and on platforms where the goal was to promote devices. Xbox was a device, whatever MP3 player the company would decide to produce was a device, and obviously cell phones are devices should Microsoft ever choose to enter that business in earnest. Obviousness is highly susceptible to changes in perspective, especially over five years' time. Today, with the launch of one of the company's most important gaming initiatives, still called "Project Natal," just months away, Bach has decided to leave the company, Microsoft confirmed this afternoon. 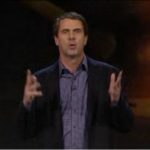 Following in his wake will be Microsoft's other high-profile gaming executive, J Allard, who leaves behind a real personal triumph in the form of XNA, the gaming platform that may yet unite development for Xbox 360, Windows, Windows Phone, and to some extent Zune. 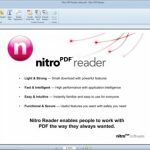 Download Nitro PDF Reader 1.1.1.13 from Fileforum now. Even today, we tend to use the phrase "Adobe PDF" when referring to the Portable Document Format, despite the fact that Adobe released its ownership of the standard into the open community in 2008. The typical opinion has been that releasing PDF as ISO/IEC 32000-1 was more of a symbolic gesture, but that Acrobat would always remain the principal application for creating PDF files. In an acknowledgment that the regulatory compromise proposed earlier this month by Federal Communications Commission Chairman Julius Genachowski, at the very least, may be inadequate for a long-term resolution to the debate over who or what gets to regulate the Internet in the US, Democratic leaders of both houses of Congress said today they will set the wheels in motion, starting now, for a potential rewriting of all US telecommunications law. Such an act could, if successful -- and if it can be accomplished in our lifetimes -- finally codify just what Internet communications is and what it does, not with respect to or in comparison with the telephone or the public airwaves. And it could very well result in an entirely new regulatory structure that's not the FCC as we know it today, but may yet have the Congressional authority and mandate to regulate network neutrality in some form. The latest hybrid notebook storage device announced today by Seagate Technology, the 2.5-inch form factor Momentus XT, promises radical performance improvements from every hybrid drive that has come before. Seagate says it can now offer this performance by literally divorcing the drive from, and breaking all connections with, the Windows-based technology that catalyzed the company's entry into the hybrid SSD business to begin with. Back in 2005, Seagate appeared to stand firm against what many believed to be the coming wave of solid-state storage technology, made feasible by more reliable flash RAM technology whose costs were plummeting and form factors shrinking. Seagate said at the time that flash wasn't exactly as reliable as it seemed on paper compared to magnetic disks, in which the company was solidly invested. 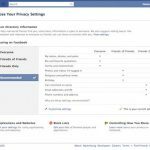 If a user would rather that Facebook not share her personal information with other services unknowingly, then there should be a simple switch that turns off Facebook's ability to do that. This was the message delivered by Facebook CEO Mark Zuckerberg, in an op-ed piece published in Sunday's Washington Post. "Facebook has been growing quickly. It has become a community of more than 400 million people in just a few years," Zuckerberg wrote. "It's a challenge to keep that many people satisfied over time, so we move quickly to serve that community with new ways to connect with the social Web and each other. Sometimes we move too fast -- and after listening to recent concerns, we're responding." 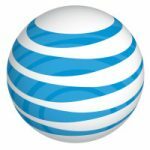 In a cautiously worded notice to customers this afternoon, AT&T advised that it will be raising its early termination fee (ETF) for wireless service for smartphones and netbooks, evidently including Apple's iPhone. Beginning June 1, the base rate for ETFs from two-year service agreements will be raised from $175 minus $5 per month of tenure, to $325 minus $10 per month. "One of the ways we do this is to offer you the industry's leading wireless handsets below their full retail price when you sign a two-year service agreement," reads AT&T's notice. "In the event you wish to cancel service before your two-year agreement expires, you agree to pay a prorated early termination fee (ETF) as an alternative way to complete your agreement." 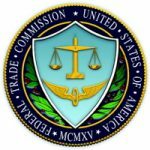 Members of the US Federal Trade Commission said indeed, they were concerned that the acquisition of mobile ad platform AdMob by global Web advertising leader Google, announced last November, would result in the elimination of at least one competitive relationship in the marketplace. But commissioners literally credited Apple with filling that gap, in a 5-0 decision today in favor of the acquisition that might not have ended up that way had Apple not decided to launch its own iAd platform last month. 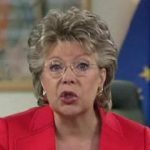 Since Commissioner Neelie Kroes assumed the role of standard bearer for the European Union's Digital Agenda from her equally outspoken predecessor, Viviane Reding, she has become as personally associated with the Agenda as the US' Broadband Plan with its architect, FCC Chairman Julius Genachowski. In keeping with her reputation earned as the Competition Commissioner who many believe was responsible for finally humbling Microsoft, yesterday Comm. Kroes outlined some extremely ambitious goals not only for the Internet as a communications medium, but also as a marketplace -- several of which would leap-frog over US benchmarks, if they can be achieved. Today, that is a huge "if." Ten days ago, as the continent faced a financial crisis as least as significant, if not more so, than what the US faced down in 2008, the EU's leaders opted to invest the equivalent of nearly a trillion dollars in the bonds of member countries' governments in the deepest crisis, including Greece, Portugal, and Spain. On the surface, it might sound like one of those amateurish conclusions a blogger might reach after having just read the press release: Symantec, a software company now mainly known for security products, acquires some assets from a non-competitor in order to get that company's logo. But in the deal between Symantec and VeriSign announced yesterday, there is no mistaking the fact that the antivirus products maker acquired, among other things, the single asset that just last week VeriSign argued was the ticket to its own future stability: quite literally, its own logo. Up until yesterday, its name was the VeriSign Trust Seal. A big part of VeriSign's business had been the licensing of that logo to "trusted" Web sites whose security services pass VeriSign's test. 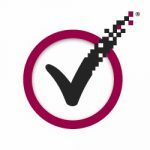 So when online shoppers see that pixelated checkmark inside the circle, they conclude the site they're shopping on is safe...and they'll buy more.